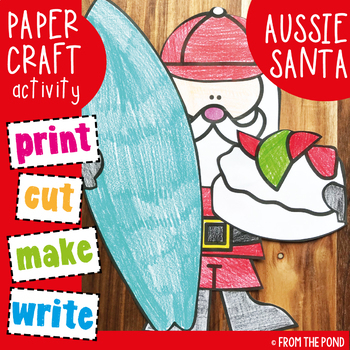 The printable pages of this packet will help you create a cute and fun Aussie Santa - perfect for learning about Christmas in Australia! Santa is holding a surfboard and a pavlova (Australian desert). 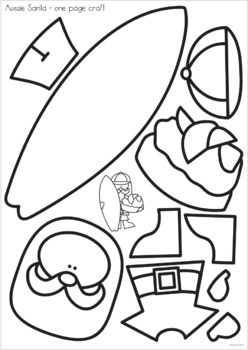 These pieces can be printed on color paper, or print them on white paper and ask your students to shade them. Add crafty details if you choose, to make this a more complex activity for your students. A 'completed' (minimal cutting) and 'one page' version is also included. 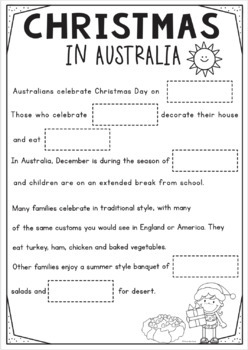 Students can complete the short cloze passage with facts about how Australians celebrate on Christmas Day. Find this packet in my Paper Craft Bundle HERE! Find more crafts in my store HERE!